Soccer is a game that evolves day by day, so anyone who wants to become a great soccer player has to continuously work on their skills. If you work hard but still feel like your game isn’t good enough, then you may need to add some boost to your training sessions. 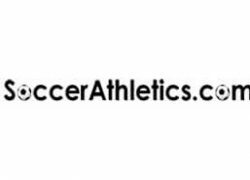 Soccer Athletics offers their innovative Building The Complete Soccer Athlete program for all dedicated soccer players who want to enhance their skills. 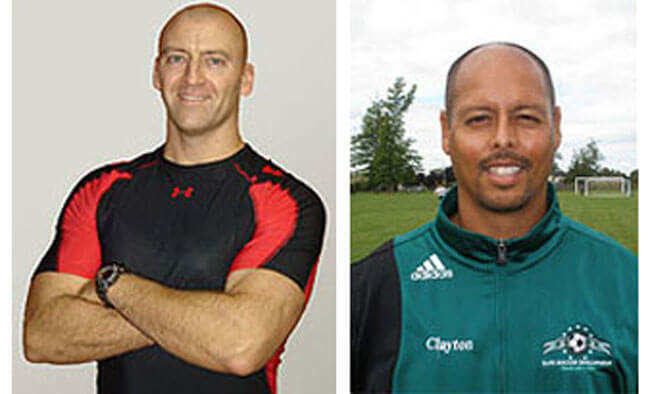 Soccer Athletics was established by two professional sportsmen, coaches Josh Hewett and Clayton Rosario. After they posted a short soccer training video on YouTube, they received so many questions that they decided to make a whole program and try to help as many players as possible. Continue reading out detailed Soccer Athletics review to learn more about the Building The Complete Soccer Athlete program and find out whether it can meet your training requirements. Outstanding performance requires outstanding training. Focusing on only your speed or just on your dibbling isn’t enough to make you a real star of any soccer field. You need to work harder and think smarter, according to Josh Hewett and Coach Clayton Rosario from Soccer Athletics. Building The Complete Soccer Athlete from Soccer Athletics is created to inspire the player to pay close attention to the most important aspects of their game. Josh Hewett is a professional strength and conditioning coach with over 20 years of experience. He has implemented everything he has learned over the years in this program. Therefore, you can rest assured that you can learn everything you need to know about soccer. Furthermore, Coach Clayton Rosario has been working with soccer players of different skill levels for more than 20 years. Youth training programs are his specialty. He wants to share his experience with you and teach you how to be better, stronger, and smarter in the field. 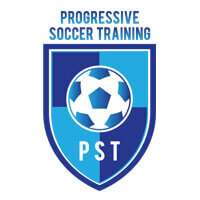 The Building The Complete Soccer Athlete program is perfect for anyone who is passionate about soccer. It’s a great program that can help players of all ages and levels improve their skills. Building The Complete Soccer Athlete is also very useful for coaches since it introduces innovative drills and training techniques that can be applied to group training. Additionally, parents whose children are into soccer can purchase this program as well. It offers videos that are easy to follow, so you can add this interesting, yet highly effective training to your child’s home practices. Coaches Josh Hewett and Clayton Rosario designed this program to help any passionate soccer player become a complete athlete. Building The Complete Soccer Athlete teaches you how to play in every position. It’s not focused just on offense like many other soccer training programs, but also helps midfielders and defensive players. Building The Complete Soccer Athlete program is available in MP4 and PDF formats and compatible with any smartphone, tablet or computer. You can use it for your home training sessions, when juggling in the backyard or even when you’re on a vacation out of town but still want to work a bit on your skills. Have you heard that abs are made in the kitchen? Well, remember it because it’s true. What is also true is that extraordinary soccer players aren’t made in the field. Becoming the most valuable player on the team demands loads of time spent in the gym and in the kitchen as well. Coaches Hewett and Rosario are well aware of that. Building The Complete Soccer Athlete is so well-organized that coaches Hewett and Rosario have managed to pack everything on a single DVD. This DVD brings 2.5 hours of excellent soccer training tutorials to your home. Extremely efficient drills, ball control tips, juggling trainings, and footwork improvement ideas are all compactly packed and delivered to you. Building The Complete Soccer Athlete is an amazing program that helps with your fitness and soccer skills at the same time. You can learn how to become stronger and boost your endurance, as well as how to think in fast-paced actions, create the game, and cooperate with your teammates. Soccer Athletics offers their Building The Complete Soccer Athlete program on DVD for only $24.99, but you can also download the material for only $9.00. The versions are identical. Still, keep in mind that the digital version can be downloaded to any computer or smartphone and used on any digital device you have. But that’s not everything Soccer Athletics has to offer. They also provide two e-booklets for free to all of their customers. The first one is called Complementary Training Booklet and includes coach Clayton’s report on what scouts look for in a player, a list of 1V1 moves for both offense and defense, a daily nutrition plan made by a sports nutrition expert, and Workout Tracking Sheets that can help you take notes of your speed/power, endurance, and strength improvements. The second free e-booklet includes Coach Mike Grafstein’s training e-report that features exercises for improving explosiveness, speed, and power, as well as several core exercises for your core, upper body, and lower body. Building The Complete Soccer Athlete from Soccer Athletics is available to you no matter where you live. They deliver worldwide even if you opt for the DVD version of the program. What’s more, not only are the prices reasonable, there’s also an excellent 60-day money back guarantee. If you’re unsatisfied with the program within 60 days of purchase, you can send an email to Soccer Athletics and get a full refund. Soccer has evolved over the years and so must you if you want to make it to the Hall of Fame. The Golden Ball doesn’t have to be a distant dream if you put some extra effort in your training and do everything you can to enhance your skills. Building The Complete Soccer Athlete from Soccer Athletics has been created by professional coaches Josh Hewett and Clayton Rosario. 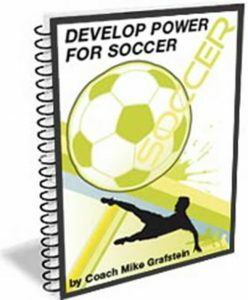 Both of them have been working with soccer players for over 20 years and have used all their knowledge and experience to come up with this excellent training program that may just help you achieve your goals. Building The Complete Soccer Athlete has been an excellent addition to my practice. I’ve been coaching young players for 15 years now and this program was a breeze to my training routine. Thank you for astonishing tips, my dear colleagues! I’ve been playing soccer since I learned how to walk. And there isn’t much that I haven’t seen over these 20 years playing, but Building The Complete Soccer Athlete really has some fresh ideas. This program helped me with my moves and endurance, no doubt about that. Very easy to follow and I like that I can play it anywhere. I’d just like them to make a separate program for girls, at least for the fitness part, cause our bodies definitely are different although we play the same sport. So, so. They have some good ideas, but I can’t say that I’m playing like pro after I’ve done their training program. It did help me with my dribbling though, I definitely made some progress. Anyways, interesting exercises, but it’s not enough. Also, those conditioning trainings are a bit too hard for beginners, but that’s just my opinion.